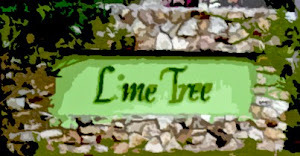 Free Lime Tree: 129 Illegal Actions! Providing information regarding the illegal homeowners association in Orlando, Florida. Have you read the October newsletter? The Association has gotten really good at trying to obscure the fact that they are not legally allowed to enforce the covenants and restrictions on the homeowners of Lime Tree Village. They talk about how to pay assessments, thank people for following the covenants, and warn people about the rules of their club but they don't mention anymore how you must be required to be a member of their club. There is a reason for that - you don't have to be a member to the Association. Because the Association improperly filed a notice of preservation five years ago, the covenants and restrictions that once existed on your property expired when the 30-year anniversary of when the original C&Rs took affect. This is not something new. This has been the law for decades. Unfortunately for most homeowners, the law can be difficult to read or even worse, intentionally ignored by those who do know the law and abuse their knowledge to force other people to do what they say. The Association was told years ago that their actions are illegal and that they cannot force homeowners to do things like place their trash bins behind heir house or pay them exorbitant assessments. They have chosen to ignore those warnings and pursue a path of illegality instead. Case in point, October's newsletter featured a blurb bragging about how many enforcement letters the Association sent out. 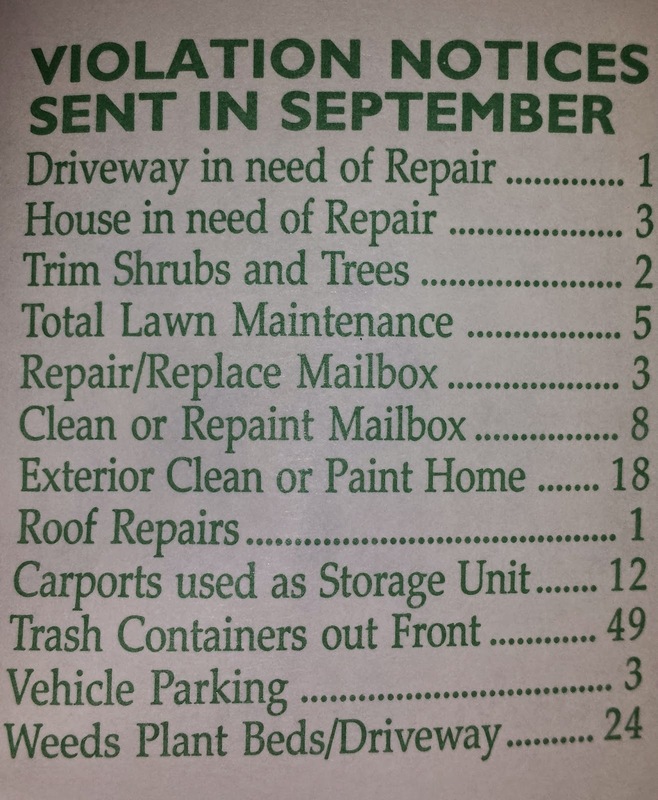 Did you count how many violations that make? Corrective action needs to take place immediately upon receipt of this letter. The association is obligated to pursue this issue until it is resolved. The enforcement of the Governing Documents and the Rules and Regulations is necessary to maintain the property value and the integrity of the Association you have invested. The association is not obligated to pursue the matter because there are officially no "Governing Documents." So next time you get one of these meaningless acts of intimidation in the mail (which is a Federal offense) you can inform the property management company (that the Association is spending nearly $60,000 for) that they have no legal basis for their collection attempts and that they should be more concerned with trying to act as the enforcer for a corporation with no legal authority of the properties it insists are subject to it's "Rules and Regulations." Trust me. There are plenty of homeowners who have ignored the lying letters and have had no action taken against them. The Association is just hoping that some of you pay. They are essentially trying to collect their illegal assessments using a buckshot method. Not to mention, look at the number of homes with violation notices versus the total number of homes in the neighborhood. The Association is unhappy with a lot of homeowners and look at the costs they want to incur on those homeowners. Driveway repair? Roof repair? They want you to spend thousands and thousands of dollars. Roof repairs on a tile roof are not cheap. So remember - don't fall victim to this scam. You are not obligated to pay the Lime Tree Village Community Club Association, Inc., or their representative Associa, a single dime. This website has been set up by resident of Williamsburg familiar with both corporate and homeowners association law and who has had experience dealing with troublesome associations in Florida, including the Lime Tree Village Community Club Association, Inc. The information presented on this website is opinion and is purely for informational purposes and should not be construed as fact. A legal professional should be consulted for further analysis for each individual and unique situation.